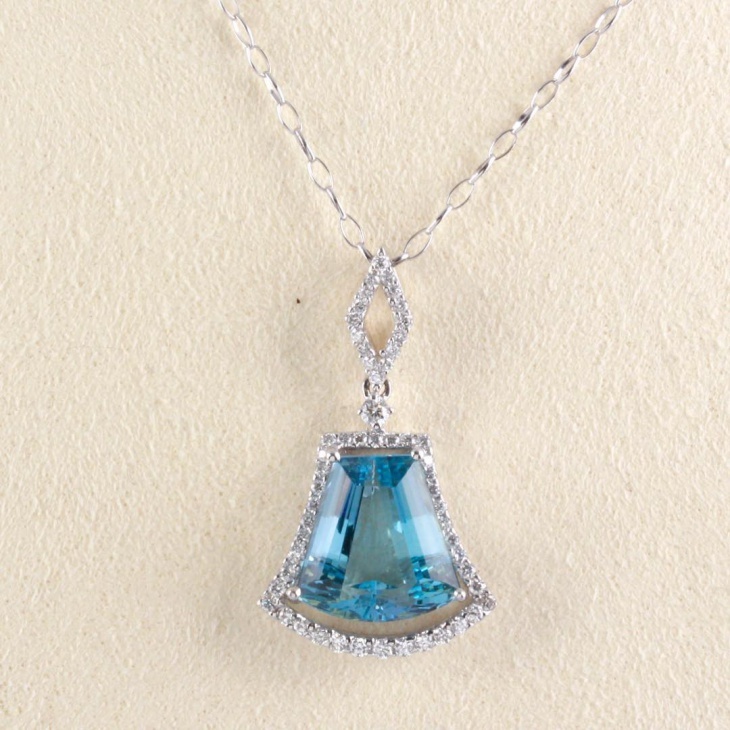 Aquamarine pendants are beautiful to look at and have an absolutely regal finish to it. 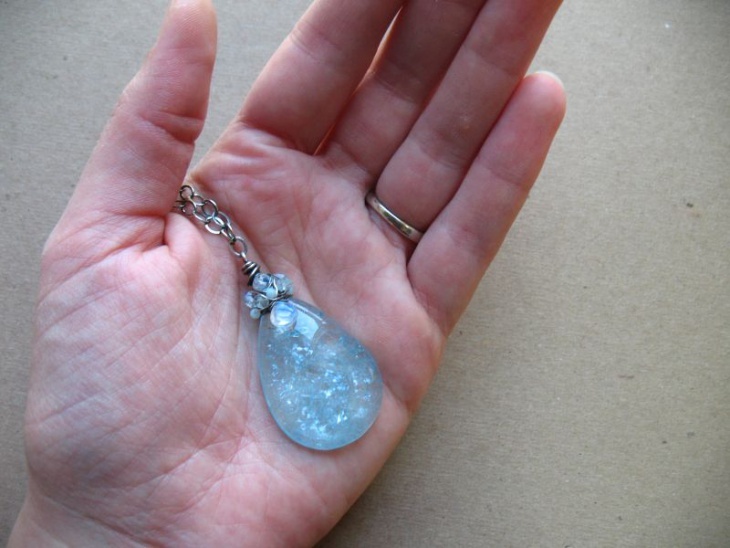 The aquamarine is considered as the gem of the sea and may weigh differently, varying in sizes. It is said to be the birthstone of March. 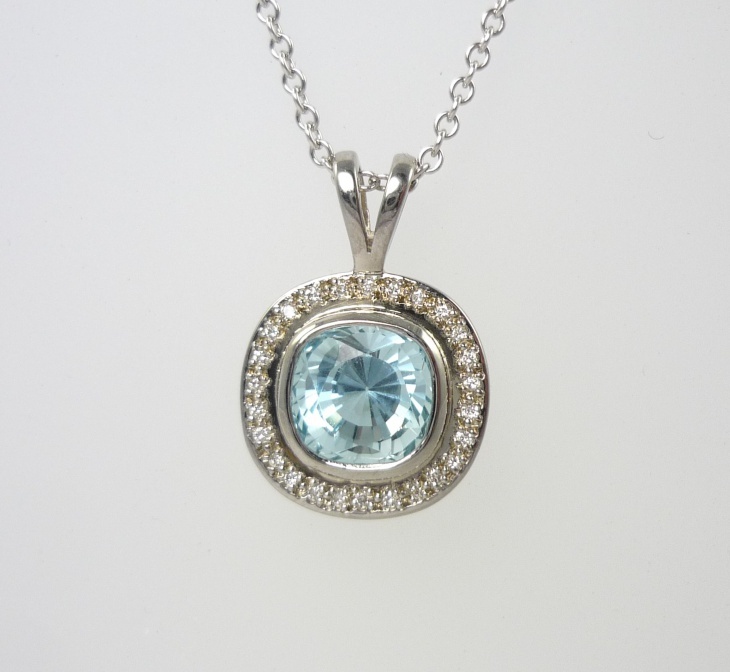 There are tonnes of gorgeous aquamarine Pendant Designs available in white gold, silver and even have diamonds studded around. 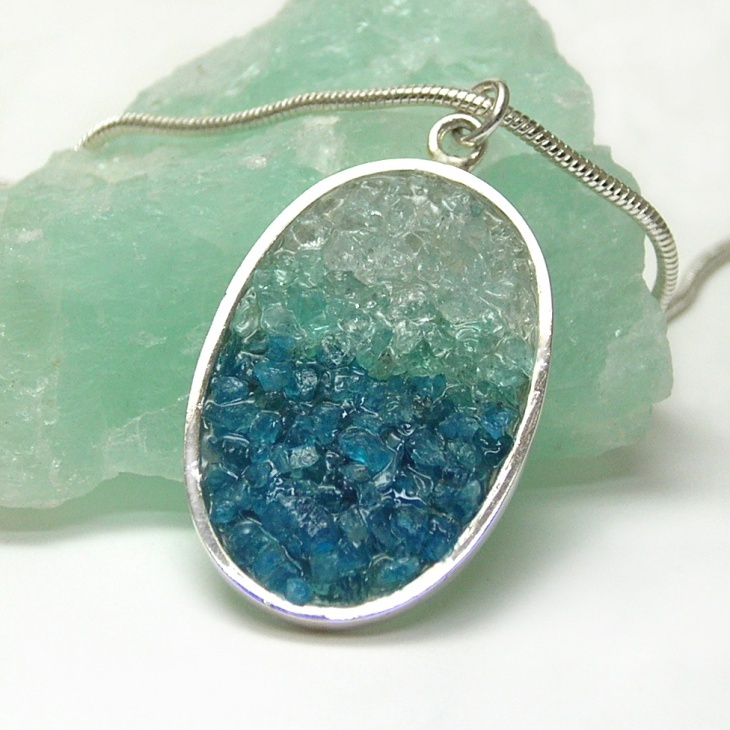 Let’s see some of the best designs in Aquamarine pendants to be worn as a fashion accessory! 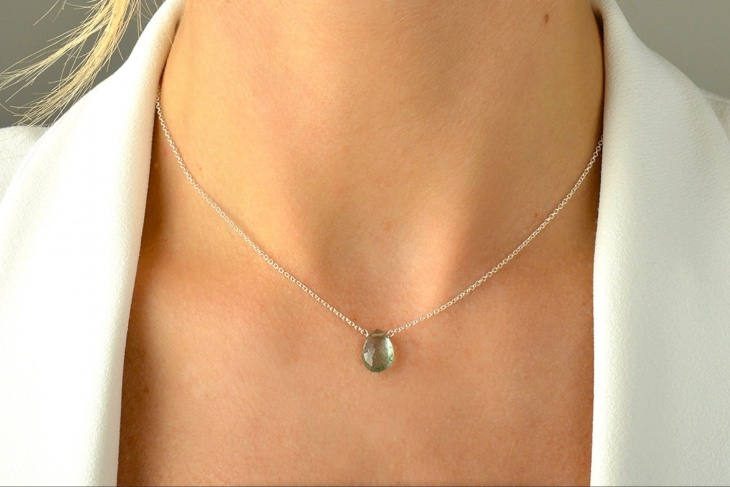 This sterling silver aquamarine pendant is simple, sweet and elegant. 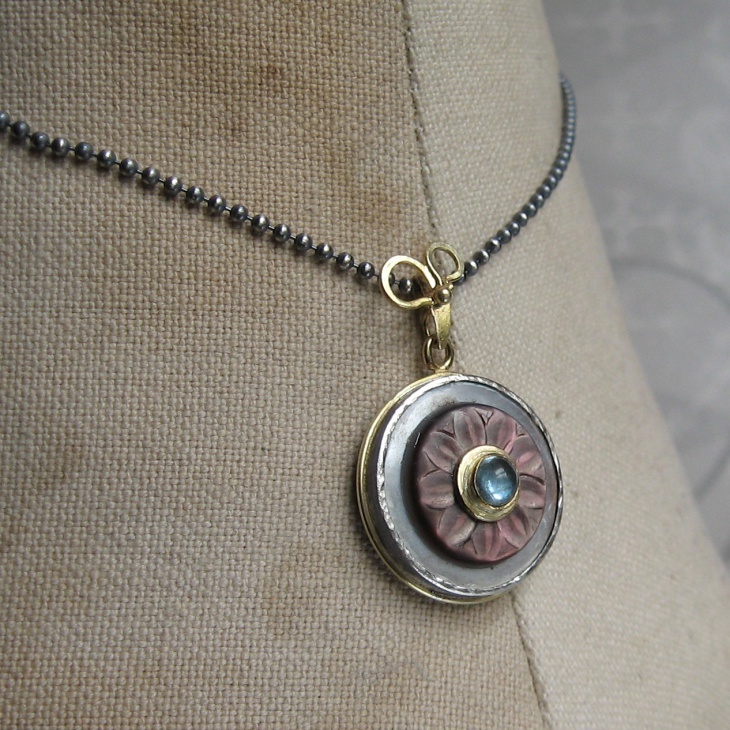 The pendant is round in shape with a few silver beads surrounding the gem. The chain of the pendant is very meek and delicate. 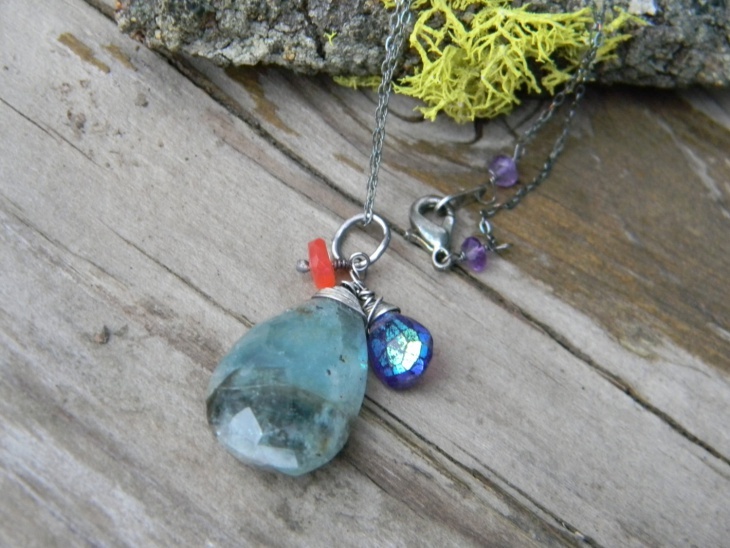 This antique aquamarine pendant chain has a rustic finish to it. 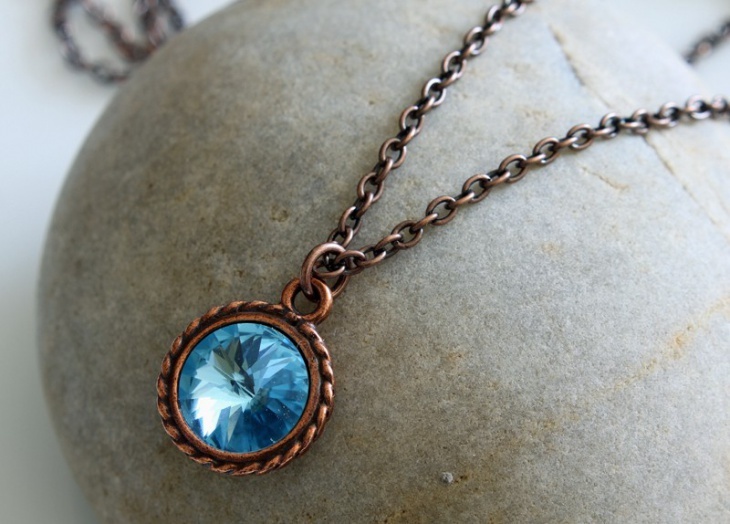 The gem is in round shape with the copper colored plating surrounding the pendant. The stone is only 1/2 an inch in diameter. 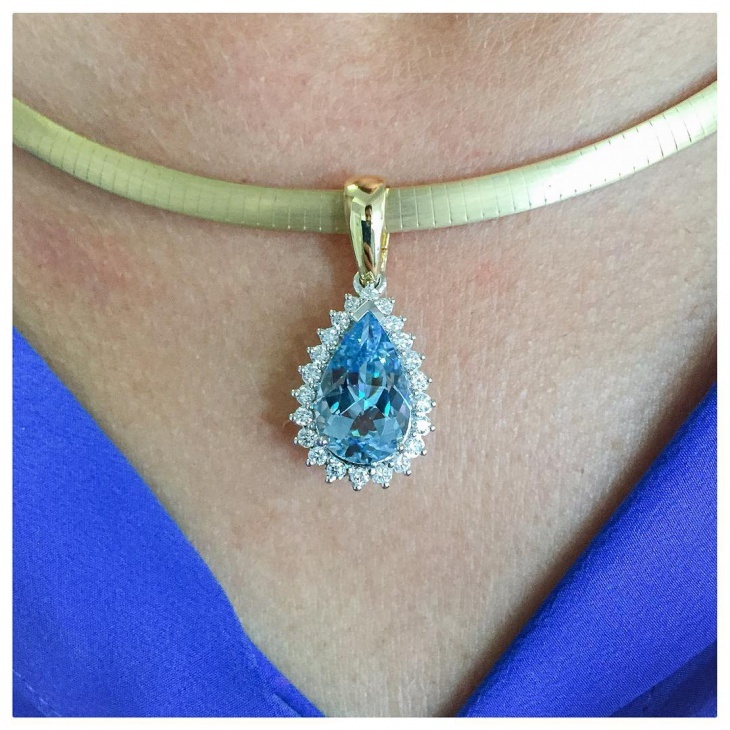 This yellow gold aquamarine pendant is a pear-shaped gem surrounded with shining diamonds. It is set in a yellow plus white gold and is an 18K design and is absolutely amazing. The chain is a little different from the usual and enhances the pendant even more as it is in yellow gold. 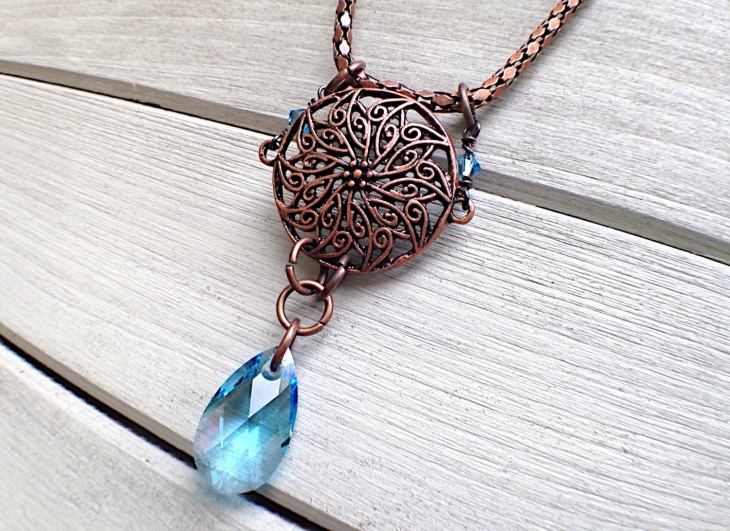 This aquamarine pendant is 14K Rose gold filled and has a mesmerizing finish. The chain is a delicate and lighter feel one with a simple design and also has Rose gold paint which makes the look perfect. Rose gold is very much the trending color of the season and more particularly in jewelry. 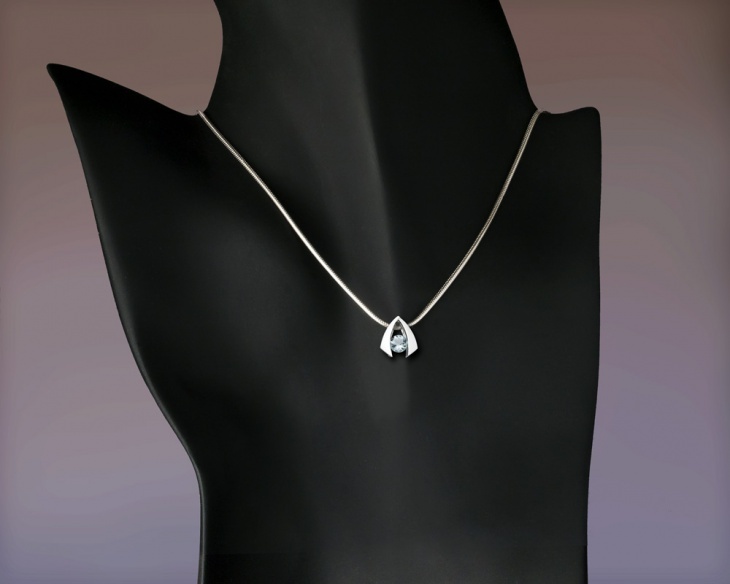 This gorgeous platinum aquamarine pendant necklace is simply elegant and sophisticated. 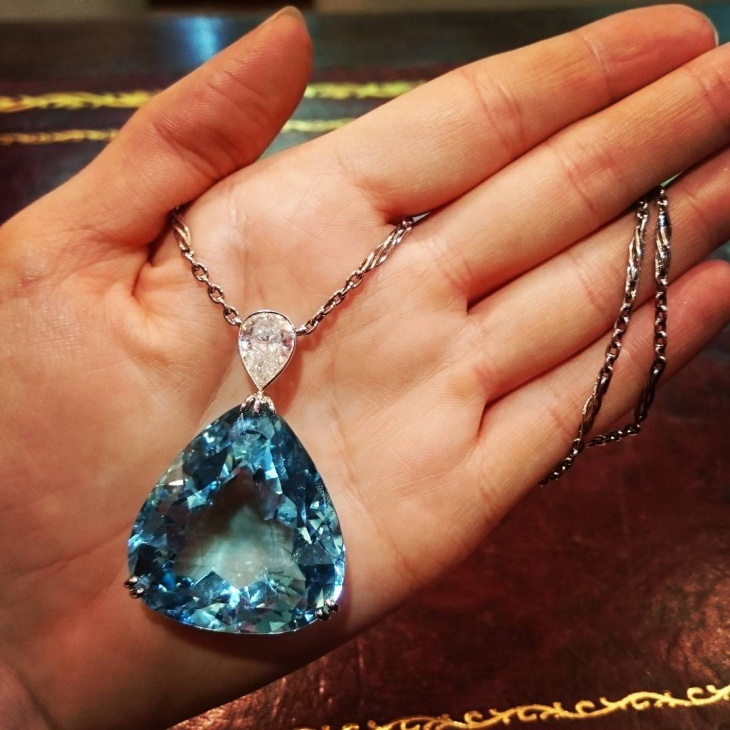 It comes with a thick chain which is slightly in the mesh form and has a platinum-encrusted pendant with the aquamarine gem placed in the center which is very unique. 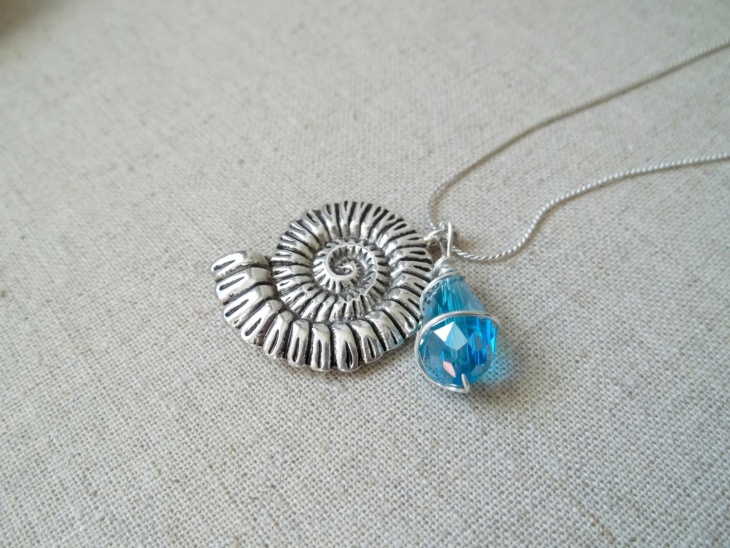 This blue quartz necklace is a beautiful big necklace pendant set which is made out of blue beads, silver beads, blue quartz and also aquamarine stones combined together to make a stunning silver pendant set. The set also comes with a pair of earrings and matching beads. 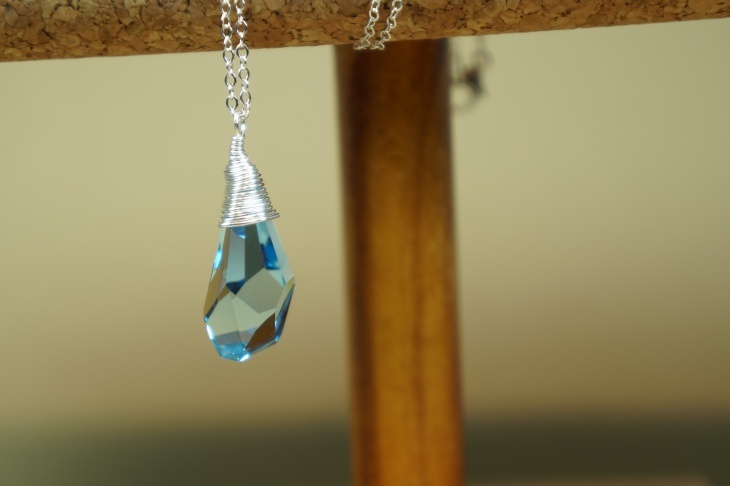 This stunning pendant is large ice-blue aquamarine crystal which is also wrapped around in sterling silver. 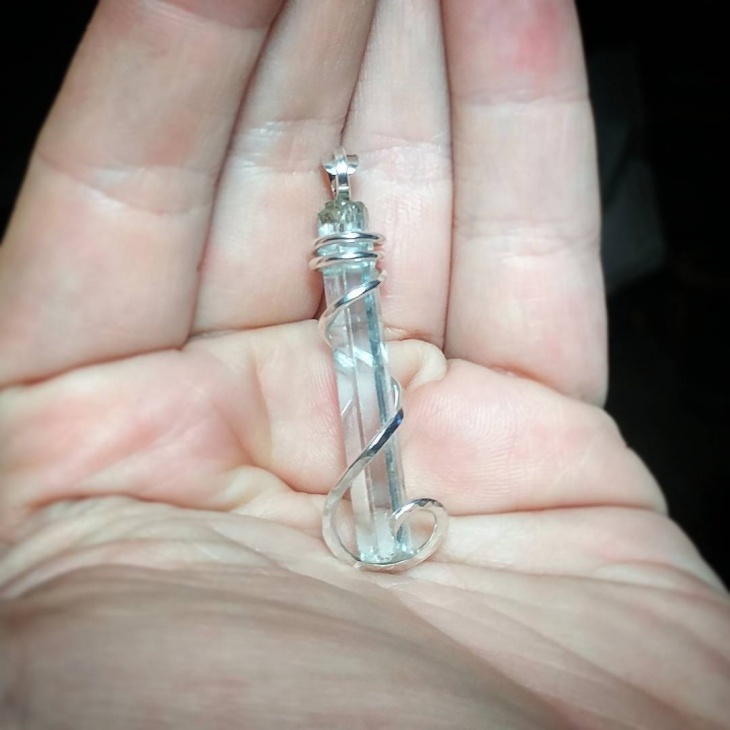 This aquamarine crystal pendant is unique and one of a kind on its own. It is magical and can be worn as a beach wear or other times as well. 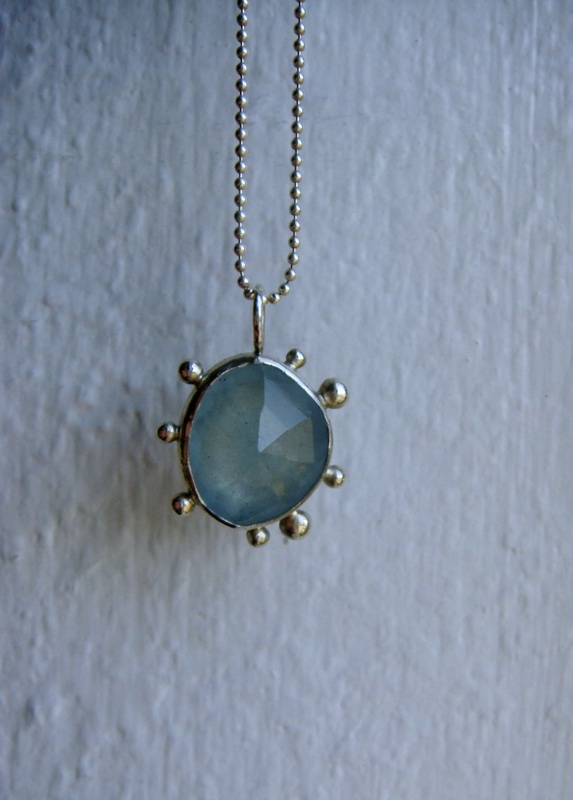 This lovely drop pendant in aquamarine comes with rainbow moonstone set in sterling silver. The crystal has minute glitters inside which shines within and is absolutely beautiful when worn. 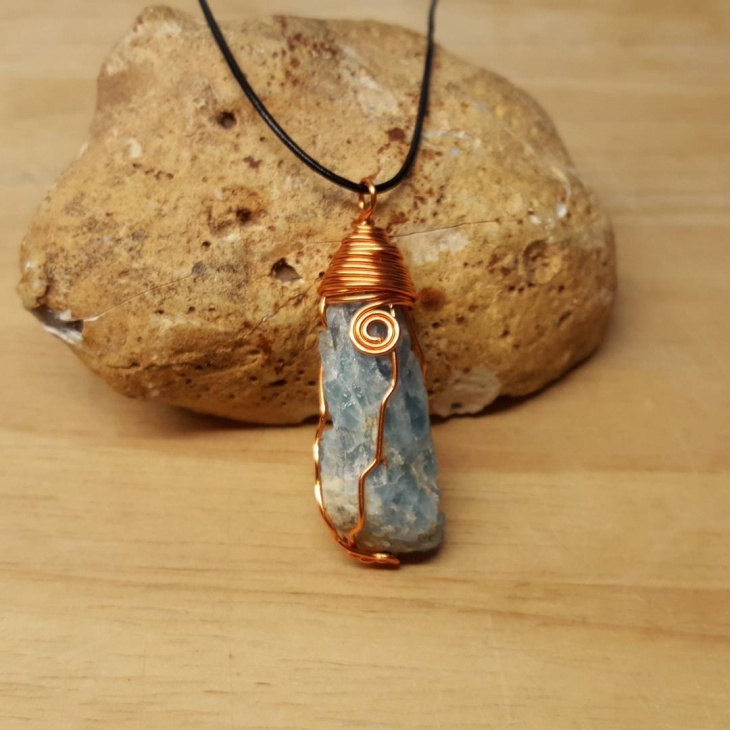 This is a raw gemstone without any cuts whatsoever and has been beautifully wrapped in a copper wire which makes it look like a perfect pendant. Paired with a black handmade neckpiece, it makes for an exquisite look! 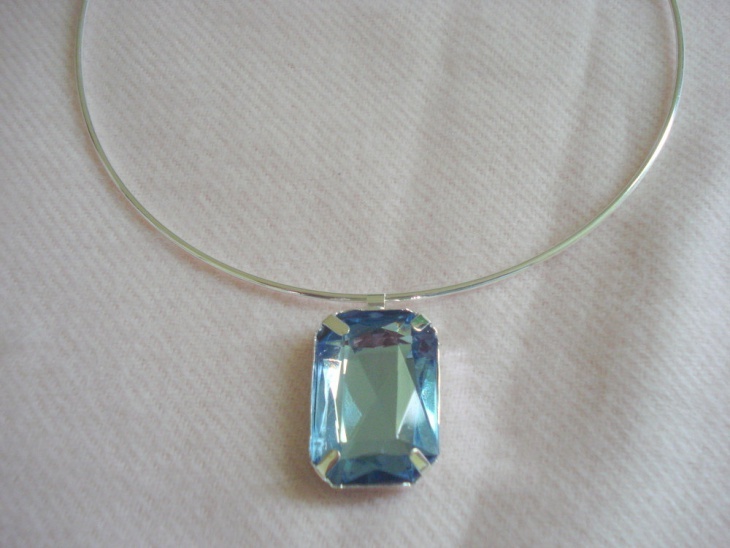 This is a very light and elegant aquamarine gemstone which is blue topaz and has a wire necklace in silver. It is a vintage styled accessory that is sure to rock every outfit and can be pulled off with ease. 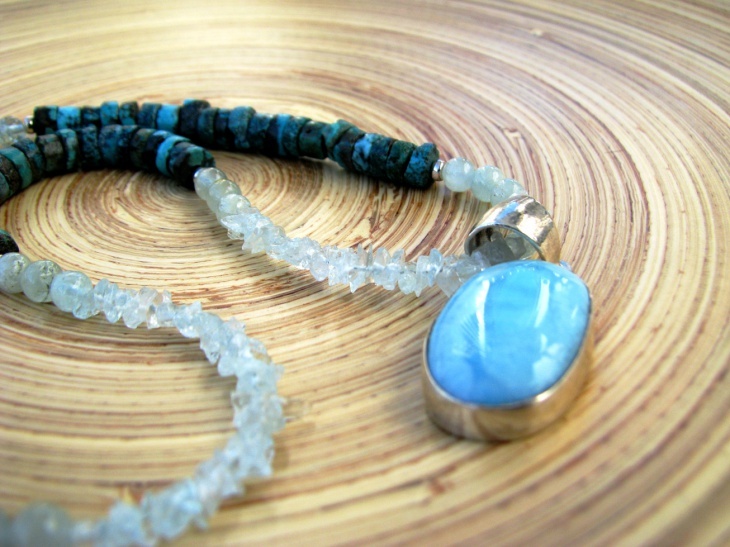 The Gorgeous aquamarine gemstone can be paired with any dress to pull off a chic and stylish look. 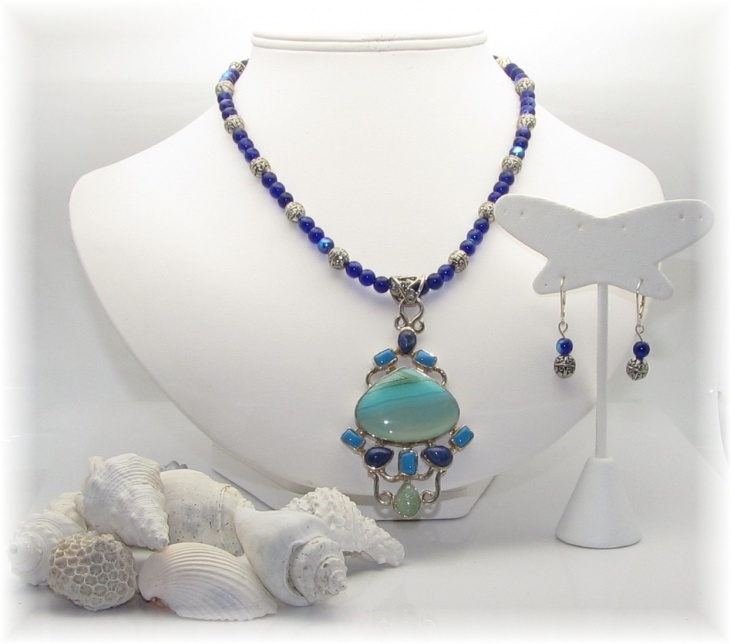 The designs are infinite and can be incorporated in Silver Jewelry Designs as well as Tropical Jewelry Designs. 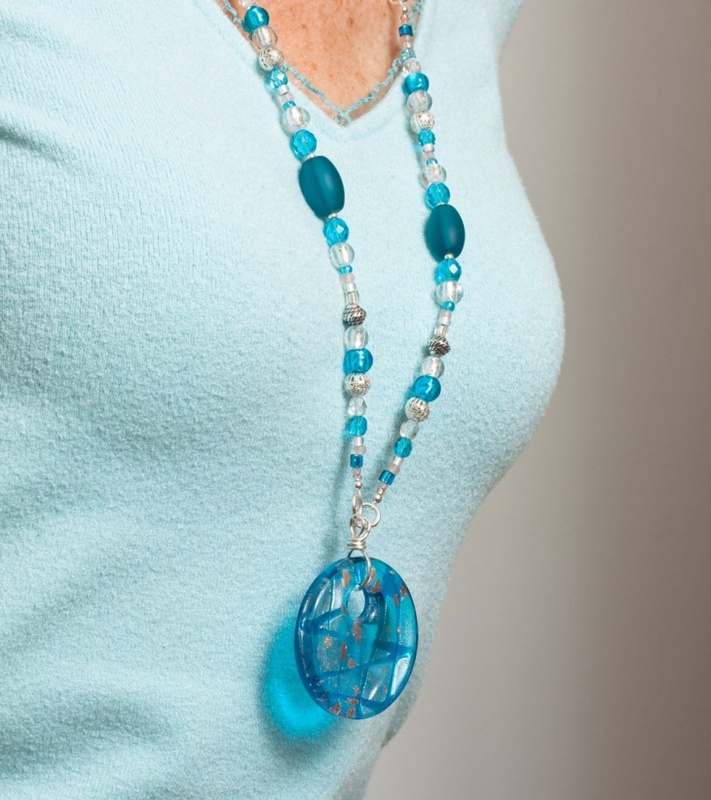 Draw inspiration from the above ideas to create a truly exceptional look with the aquamarine gemstone on your neck.